Tea. A humble green leaf. Just pluck some leaves from a bush, dry, brew, and enjoy. One of life’s simple pleasures. Tea has long been embraced in the East for its powers of rejuvenation and its taste. Originally grown wild in a vast area that includes parts of China, India, Myanmar, Laos, Vietnam and Thailand. The people of this area- the foothills of the Himalayan mountains- are believed to have first enjoyed tea as a medicine to be chewed. Whether chewed or enjoyed as a liquid the story of tea is a magical story. A story that connects us to our shared humanity. Welcome to the Story of Tea in Japan. And our story begins in China. It was China that invented the ways & means of preserving tea- in so doing establishing a drink that has changed our world. Tea- a thing of simplicity yet deep was the perfect aid for meditation. Tea was embraced by each of China’s philosophy-based religions- Buddhism, Confucianism & Daoism and tea drinking became widespread. Even the Chinese myths of tea reflect on its spiritual effects. It is said that the Chinese inventor of medicine was sat under a tree enjoying a cup of hot water- into which a tea leaf fell. Being a man of medicine he noted the leaf created a wonderful green colour and the drink itself made him feel both revitalised and stimulated. Boil the kettle and read on. The Tang dynasty (618-907 AD) – a time of high art & culture saw tea further refined and brought to a new level of sophistication. China’s Father of Tea- Lu Yu- began to encourage tea drinkers to be mindful of the everyday moments while preparing tea. At the same time Japan was learning about tea through contact between Zen priests and Chinese Buddhist monks. Though tea had entered Japan for centuries it isn’t until the 12th century that we hear of tea being grown in Kyushu and the Uji hills near Kyoto. Meanwhile back in China the arrival of the Song dynasty (960-1279) saw further advances in the art of hospitality – to which tea was deeply linked. Tea cakes made from coarse leaves were replaced by a new powdered tea whisked into a froth & served in porcelain cups. The development of tea culture in China was halted soon after however. Fierce Mongol hordes led by Kublai Khan invaded the middle kingdom. The Japanese however were twice saved from Mongol invasions during this time. A divine wind- or “kamikaze” prevented the Mongols invading Japan. While trouble brewed in China, the Japanese peacefully brewed tea. In isolation the Japanese brewed tea and contemplated life. By the 16th century the artful practice of tea evolved into what we call the Japanese tea ceremony or “Chanoyu”- or the Way of Tea. Total attention was given to how the tea was prepared, served and taken. “Matcha” or powdered green tea was served in a pre-defined choreographed ritual. Tea once again became central to a new form of “moving Zen” meditation. 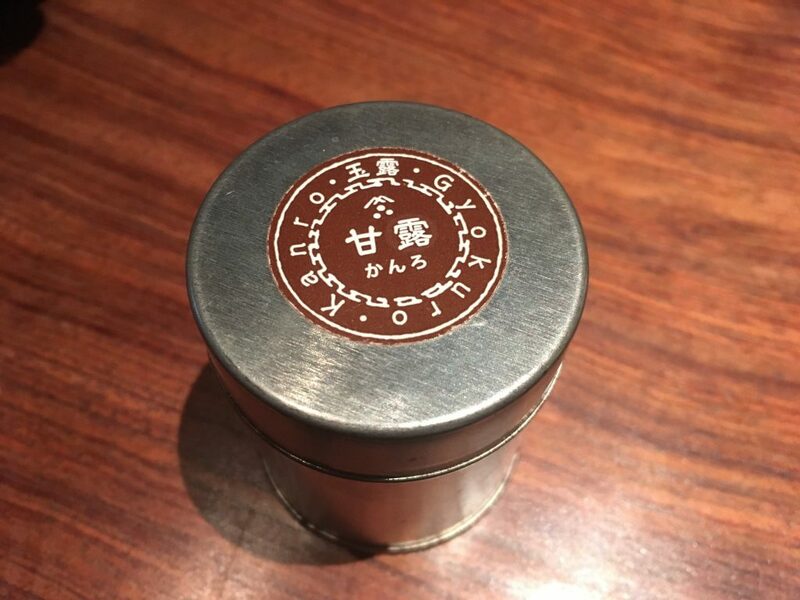 Even in Japan the tea itself remained a simple drink. Preferred green it can be enjoyed both hot or cold. But innovations in the past now mean your tea might be steam-pressed, sun-dried or even pan-fired. Kukicha- Tea Twigs, Stalks and Stems. Yummy! Most teas drunk in Japan (with the clear exception of Matcha) are prepared by steam or water vapour. While the taste and flavour depend on season and place the first flush of the year is considered the best- known as “Shincha”. The taste of Japanese tea can be almost grassy and is often served with Japanese traditional sweets to offset the bitterness- and drank as is. Every visitor to Japan at some point will be served green tea. Your first encounter with Japanese tea will likely be with “Sencha”- which accounts for 70-80% of the tea produced in Japan. Sencha itself is a relatively new variety having been “invented” in Uji City near Kyoto in 1738. At one point in the 19th century tea exports of this variety, primarily to the US, were Japan’s second largest export after silk! Speaking of Uji City we should mention that this city’s history with tea can be traced back to the 1100’s. Should you decide to visit the area we recommend a side-trip to the Kozanji Temple in Kyoto- believed to be the original site of Japan’s tea cultivation. A Cup of Jade Dew? For the more discerning tea lover the pleasure of “Gyokuro” or Jade Dew tea awaits. Accounting for only 1% of Japan’s total tea production Gyokuro tea is uniquely shade grown. Tea bushes are covered for 20 days prior to picking and produces a highly caffeinated strong sweet flavour. While the Uji area has the longest history of producing Gyokuro today most is produced in Yame, Fukuoka Prefecture. A powdered green tea used in the Japanese tea ceremony. When you drink Matcha tea you ingest the entire leaf and health benefits accrue. It is said that one serving of Matcha tea is the nutritional equivalent of 10 cups of regular brew green tea! 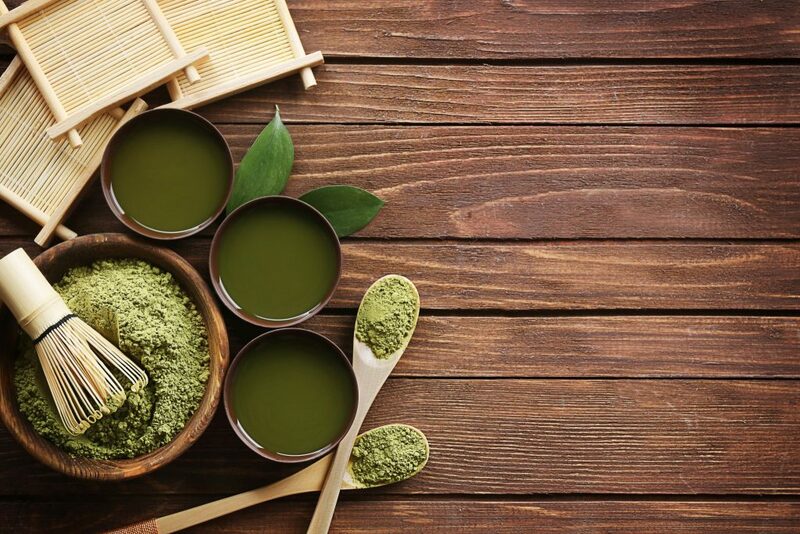 Today Matcha is aiding Japan’s efforts at becoming a cultural superpower and any visitor to Japan will be stunned at the variety of Matcha products available. From Matcha Lattes, Matcha ice-cream, Matcha chocolates and Matcha facial masks this tea is adding a new chapter to the story of tea. Tea consumption in Japan fell by almost half between the 1970s to the 1990s. 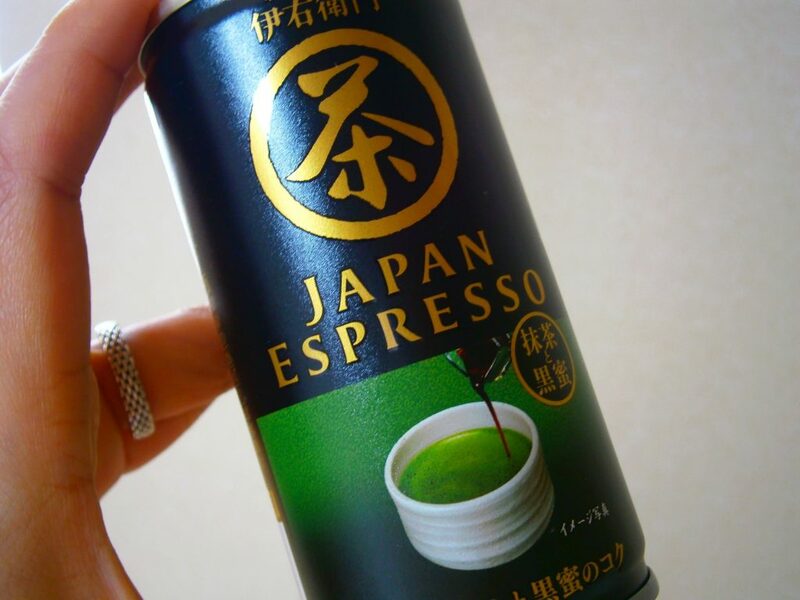 On the positive side there is a growing interest in Japanese tea internationally. 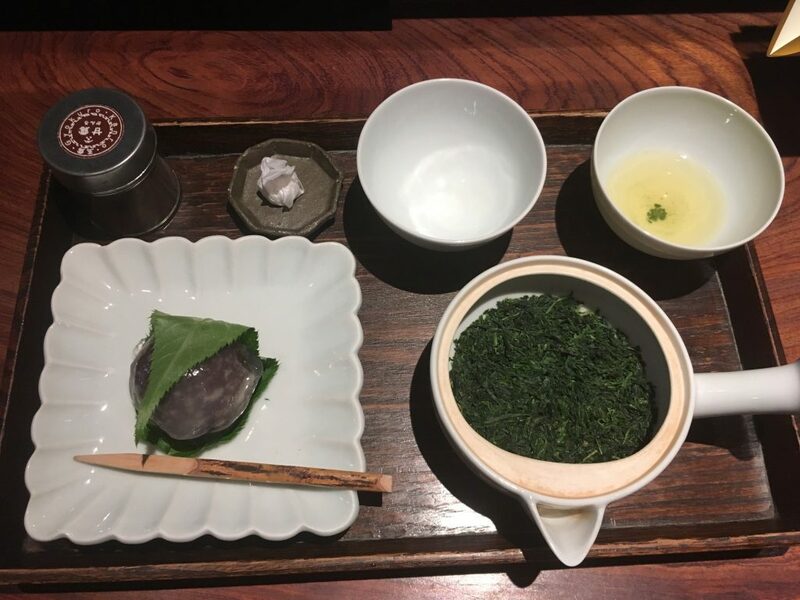 The popularization of Japanese culture coupled with a growing awareness of the health benefits of green tea are sure to enable the tea industry to leaf out in new directions. And despite all the inventions & innovations it isn’t all that complex. “Tea is nought but this,. Tea Shop Recommendation: If visiting Tokyo check out Ippodo in Yurakucho. 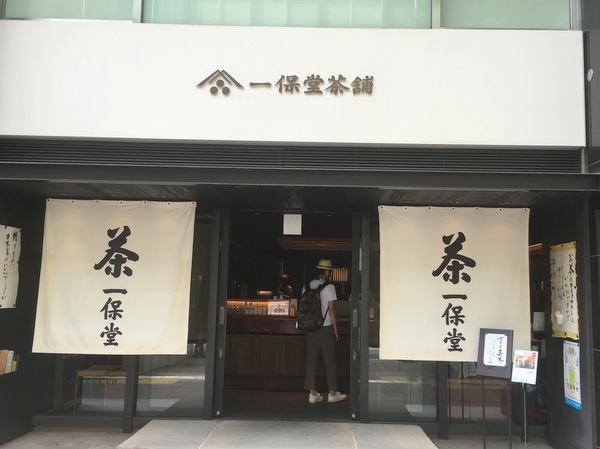 5 minutes walk from Yurakucho station and excellent tea selection! A Gyokuro (top notch tea!) experience costs around 2,000 yen but a “cup of the day” starts from 600 yen. 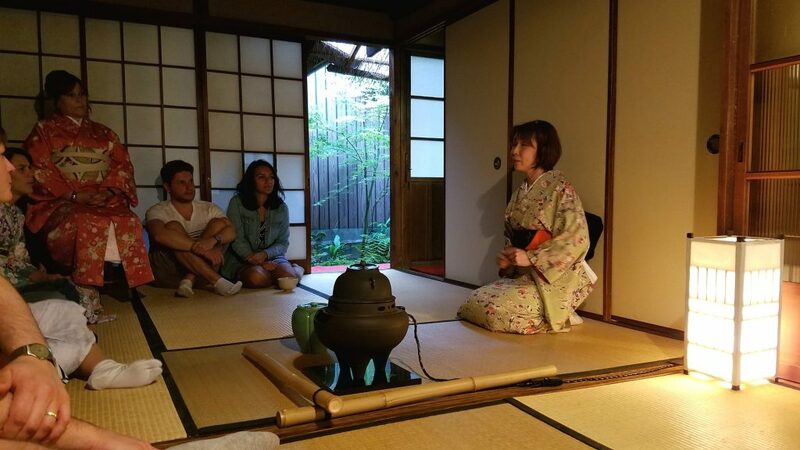 Experience Tea in Japan-Read More! The tea trail in Japan will inevitably lead you to visit either or both Shizuoka & Kyoto. Where there is tea, there is beauty. This article highlights many of the locations to visit along the way- all to be contemplated over a cup of TEA- Click Here!